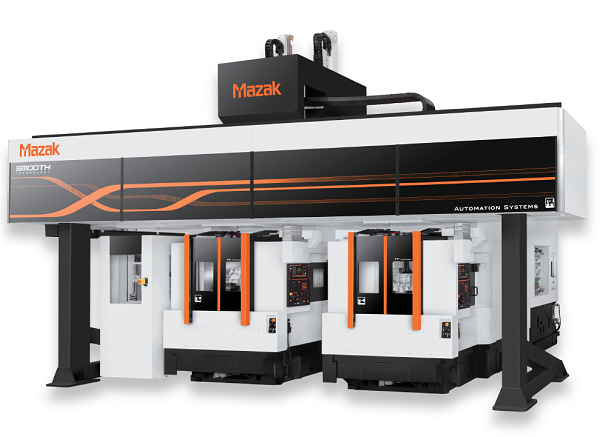 Mazak is the largest manufacturer of Flexible Manufacturing Systems, with a production history of more than 27 years. The PALLETECH SYSTEM is designed with the flexibility required for shorter product life cycles, minimum in-process inventory, just-in-time production and other demands of today’s manufacturing environment. We offer the PALLETECH Manufacturing Cell (1 level) and PALLETECH High Rise System (2, 3 levels) according to your production volume and budget. 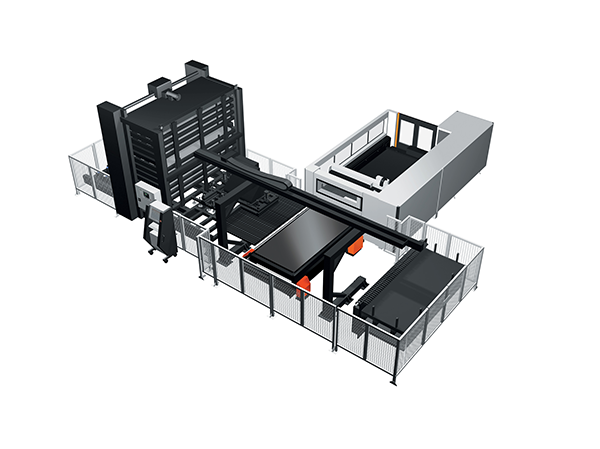 Furthermore, the PALLETECH System is designed for convenient system expansion after the initial installation to easily respond to increased production requirements in the future. 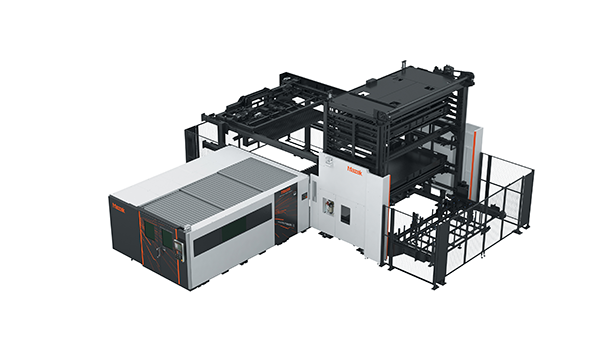 The Multi Pallet Pool (MPP) offers high-speed pallet transfer and further extended unmanned running, compared to twin or six pallet automation systems. Specifically designed for unmanned lights out running, the configuration on display at EMO will feature a 16 station MPP, but a smaller 10 pallet version is also available. 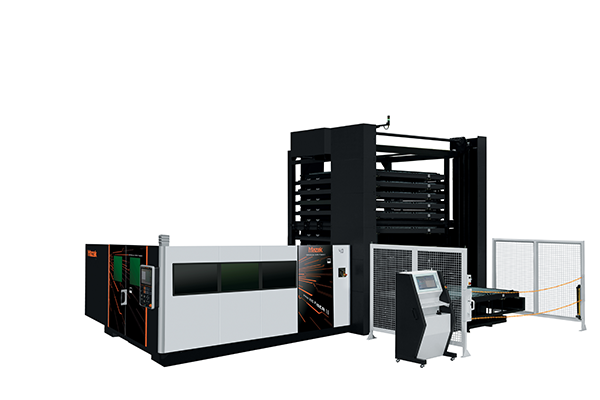 The MPP has an economic footprint – up to 40% smaller than a comparable PALLETECH system – and is controlled using the Smooth CNC, which is equipped with Mazak’s SMOOTH MPP software application. Smooth MPP facilitates advanced scheduling functions, faster analysis of production results and more efficient system utilisation and can be accessed remotely on PCs and smart phones. 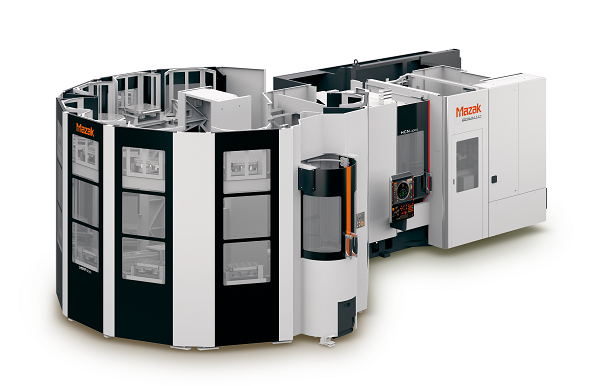 Easy-to-programme robot cell integrated with Mazak’s Smooth CNC, ideal for small to medium lots sizes. Automated robot arm for loading and unloading of workpieces. 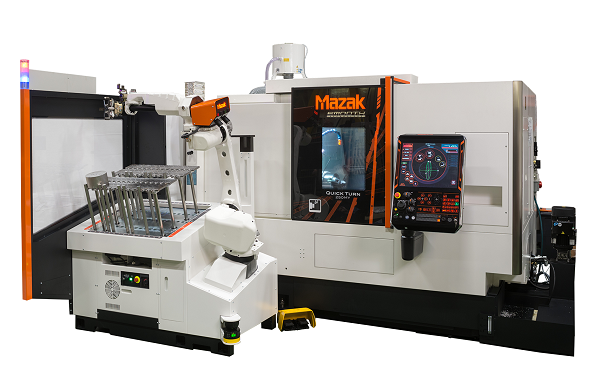 Ideal for applications that require lights-out unmanned running overnight or at weekends, both the machine tool and the robot are controlled from the Mazak Smooth CNC, which provides a seamless interface and extremely fast set-up. 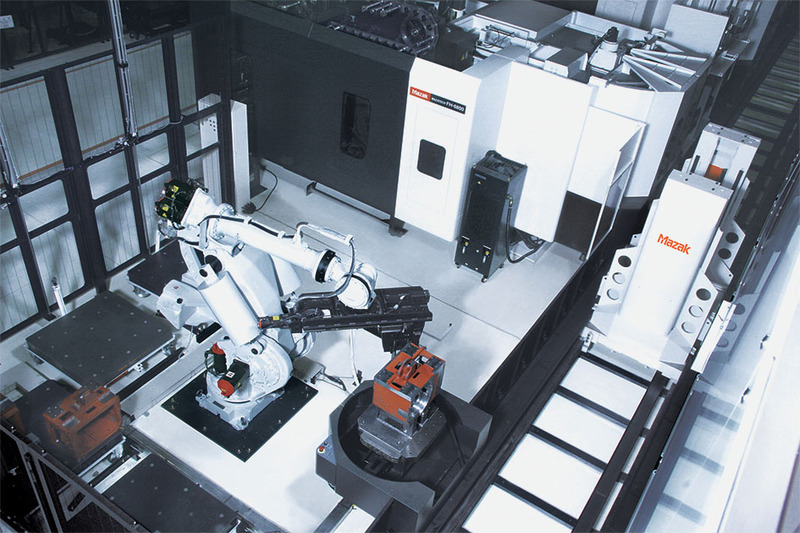 A gantry robot with separate loading and unloading hands to enable end-users to achieve the fast takt times demanded by mass production. 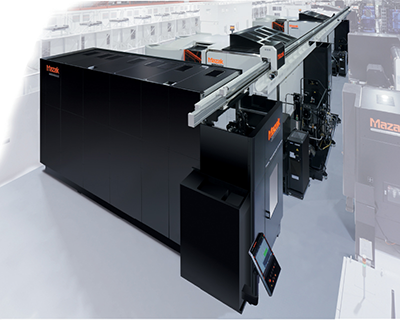 What’s more, with a width of just 1750mm, the GL automation system is ideal for small floor spaces. 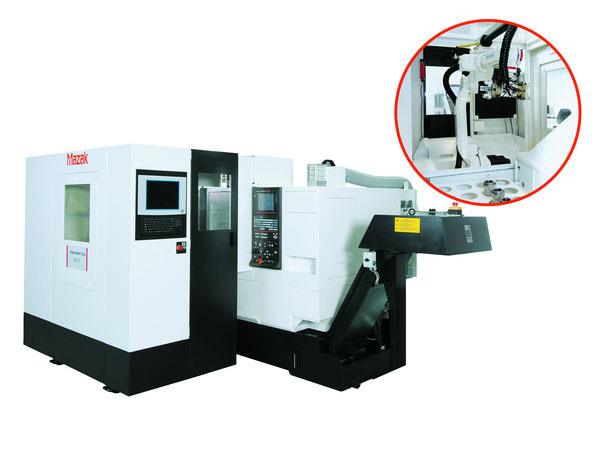 The e-BOT Cell 720 is designed to realize up to 720 hours of unmanned operation per month in the machining of a wide variety of workpieces. Even for changes in production lot sizes, labor requirements are minimal. In order to realise unmanned operation over extended periods of time, tools required for machining must be in the machine magazines. 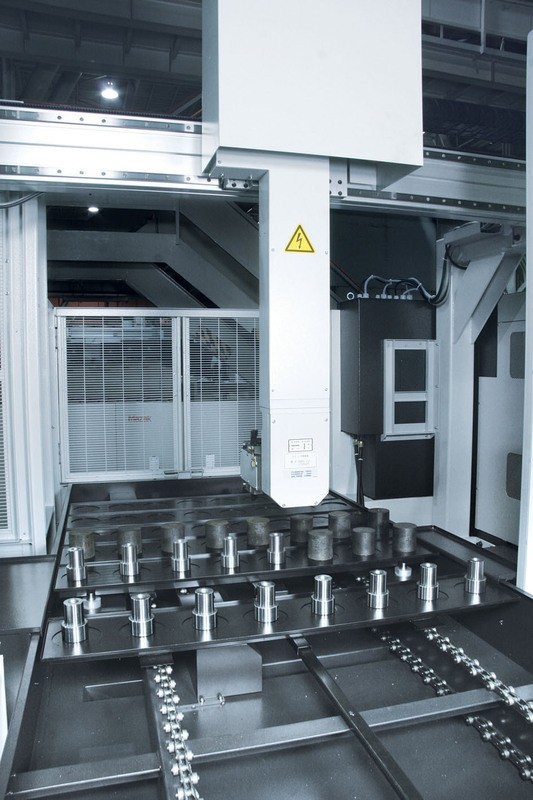 By the use of the TOOL TRANSPORT SYSTEM, multiple machines can share and manage tools according to the machining schedule. Robo Smart Cell Automation System. 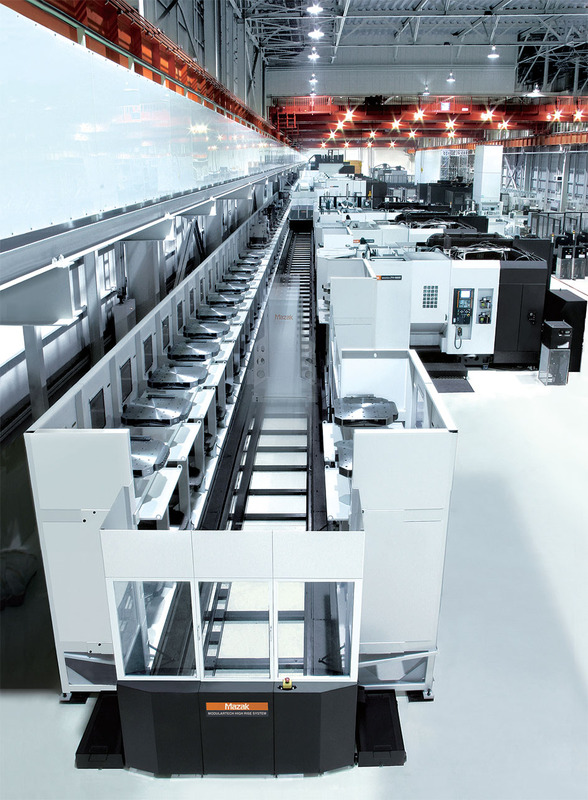 Flexible system expansion by adding material stockers, additional laser machines and finished workpiece stockers in response to increased production requirements. 10 pallets with the material and finished worksheets can be stored in the shelves. Number of micro joins can be minimized since the finished worksheet is unloaded to the stocker with the pallet. Automatic changing of worksheets and finished parts. Compact floor space requirement.